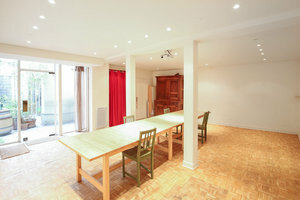 This contemporary 40 sq m showroom is located in Le Marais on a popular street close to Temple. 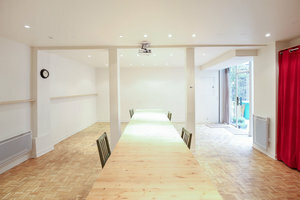 It's an ideal location for Fashion Showrooms and small Launch Events. The minimal space is a blank canvas ideal for creative and sophisticated fashion brands looking for a space to showcase new collections. White walls, wooden floors and spotlights give the space a modern feel while the large windows allow natural light to flood into the space creating a beautifully bright atmosphere. This space is located in the fashionable area of Haut Marais, with it's semi-private entrance this space is easily accessible while maintaining an air of exclusivity, perfect for invite-only events.